· When you contact us for information through our website. · When we are contracted to do so in the course of providing our services. We may also collect non-personal information when you browse Evolve Marketing’s website so as to monitor website usage. Evolve Marketing’s website does not use “cookies” to monitor website usage. Please note that if we are unable to collect personal information about you, then we may not be able to provide proper services to you. Except as provided for below, Evolve Marketing does not provide third parties with or access to personal information collected from website visitors or in the course of providing our services to other parties. · We are required by law to disclose such information. Please note that if you wish to withdraw your consent to our using and disclosing your personal information, then you should contact us at the addresses given below. Other grounds for lawful disclosure also exist under the National Privacy Principles. Evolve Marketing may also disclose information that has been depersonalized and aggregated for statistical and marketing purposes. The National Privacy Principles do not apply to this type of disclosure. Under the National Privacy Principles, you have a general right to remain anonymous when dealing with a business. Evolve Marketing allows website visitors to browse its website to a limited extent or to otherwise enquire about its services without providing any personally identifying information. Evolve Marketing takes all reasonable security precautions to prevent unauthorized access to any personal information that we collect or use. Evolve Marketing also takes reasonable steps to destroy or permanently de-identify personal information that it may hold when it is no longer needed for any purpose for which information may be used or disclosed under the National Privacy Principles. 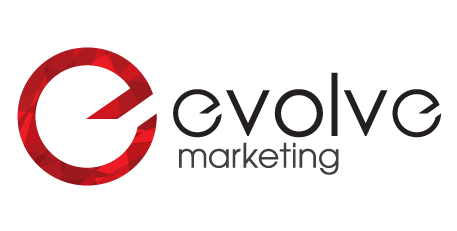 Evolve Marketing takes all reasonable steps to make sure that the information it collects, uses or discloses is accurate, complete and up-to-date. Under the National Privacy Principles, you have a right to access the personal information that we may store about you and to request us to correct information that is inaccurate, incomplete or out-of-date. If you wish to access your information that you believe we may hold, then please contact us in writing at the addresses given below. Please note that the National Privacy Principles allow Evolve Marketing to withhold access in certain situations. At your request, we will also provide you with additional information about the way Evolve Marketing manages personal information it may hold.